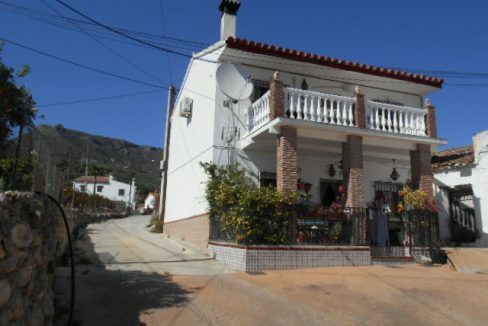 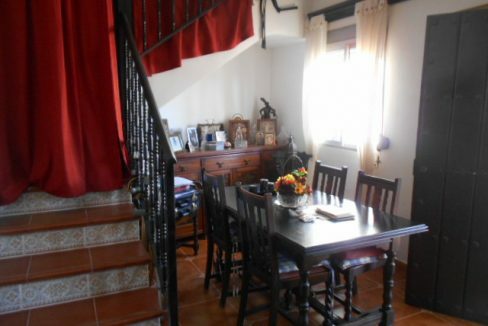 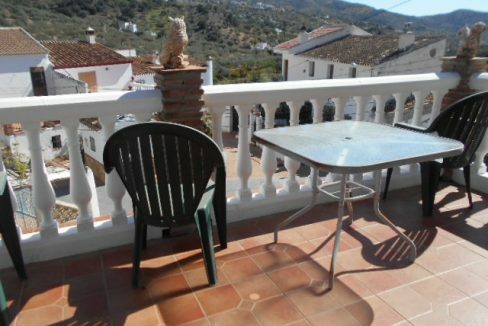 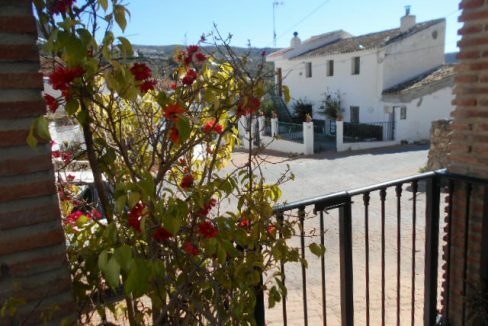 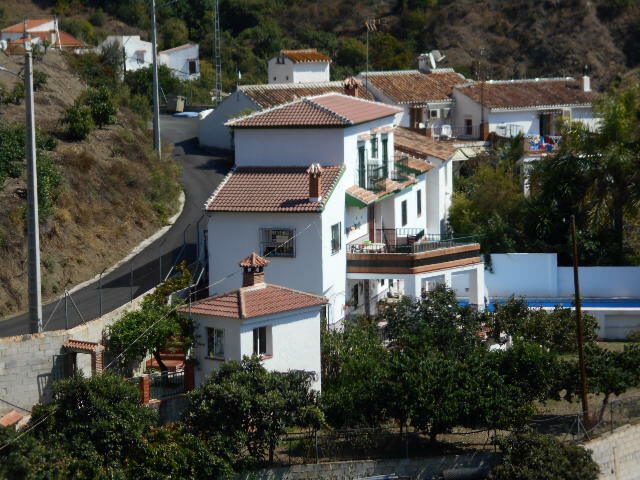 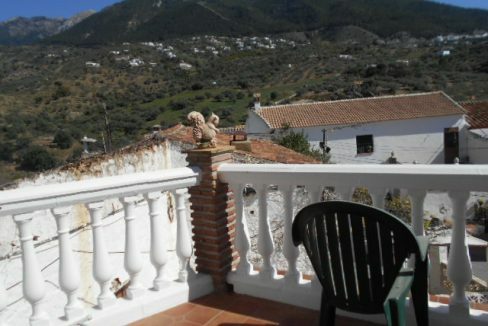 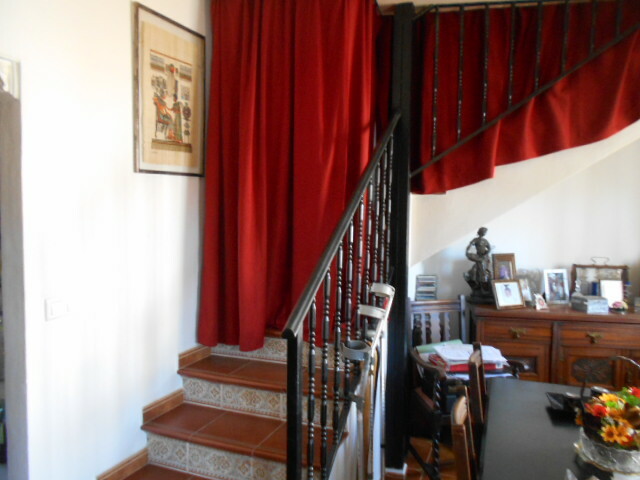 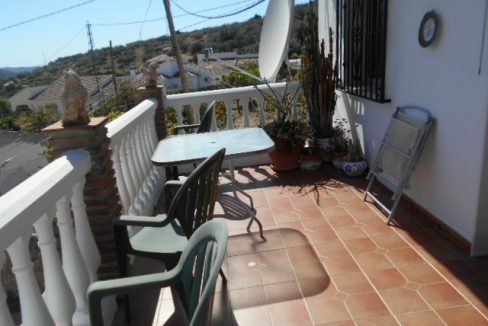 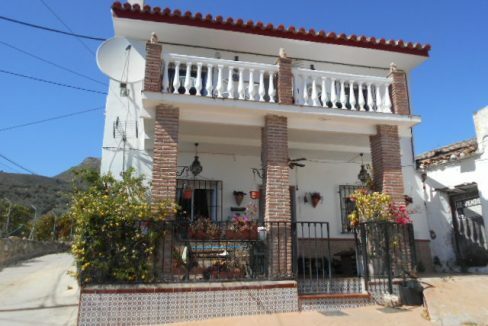 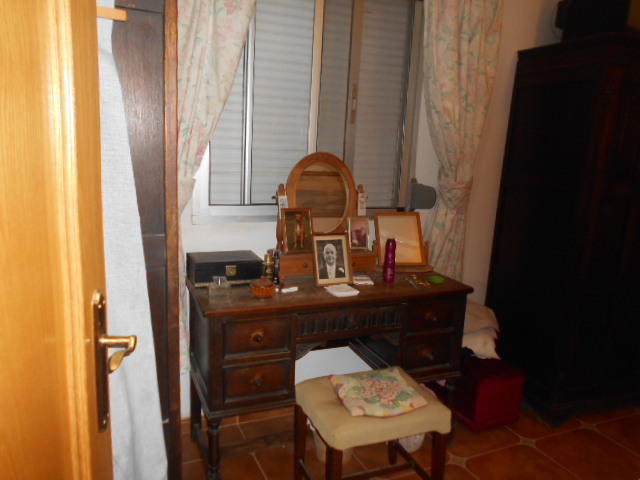 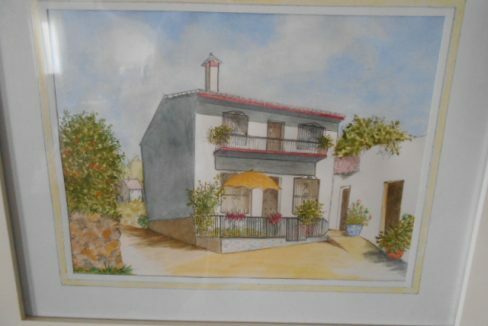 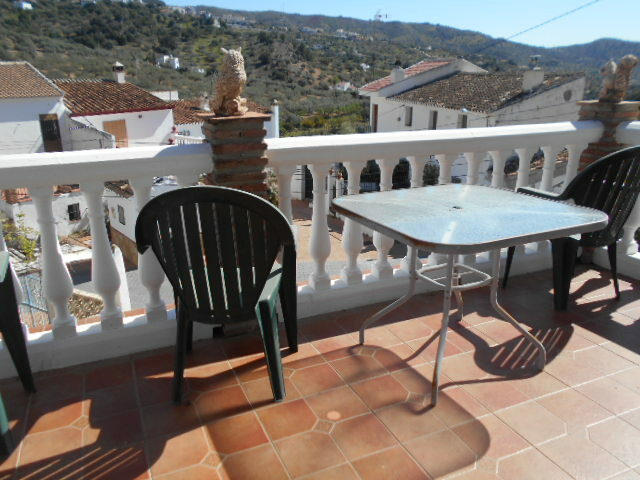 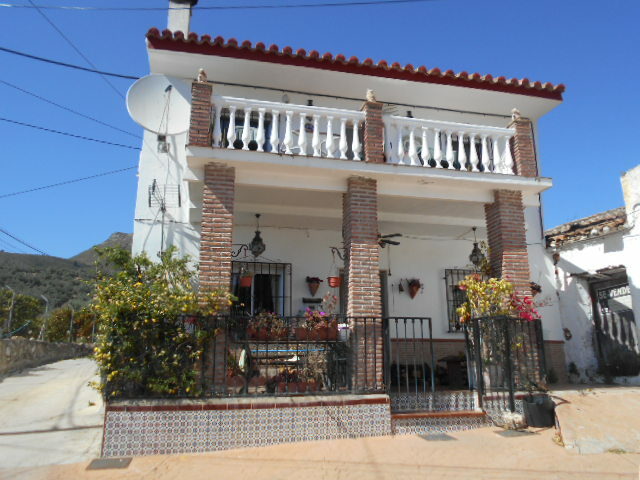 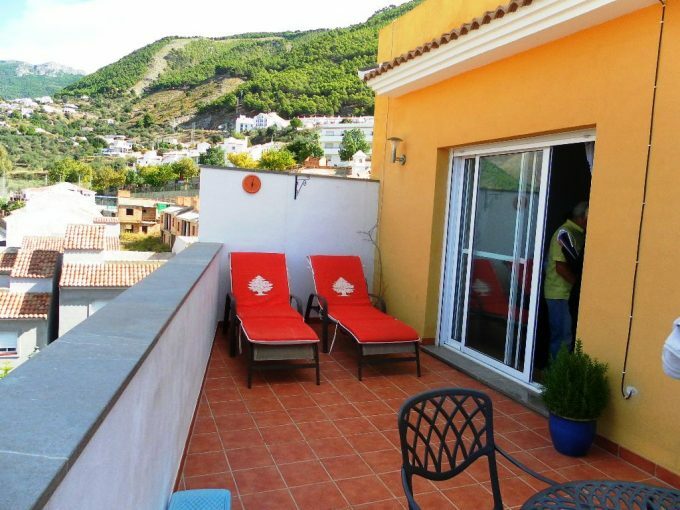 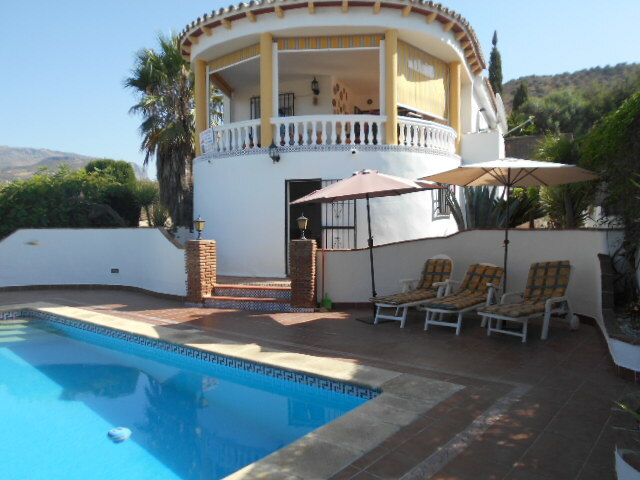 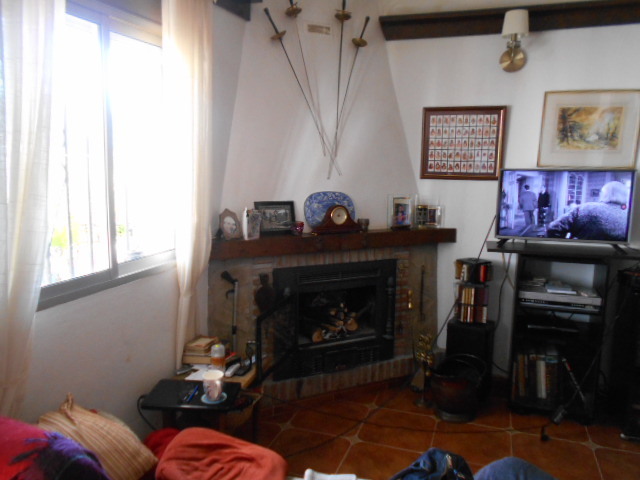 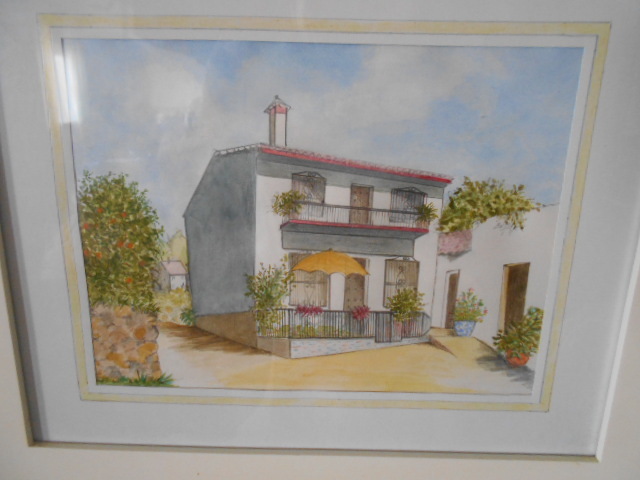 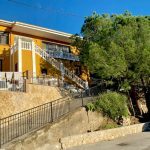 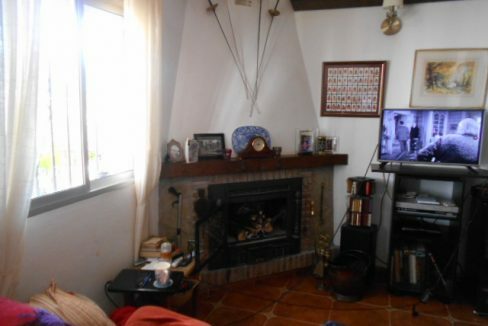 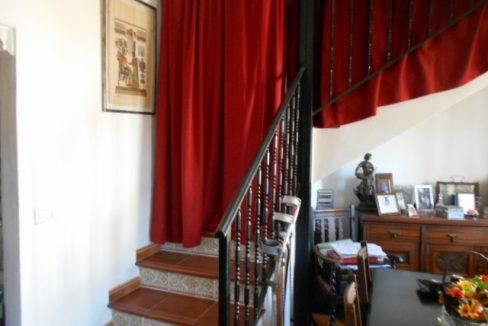 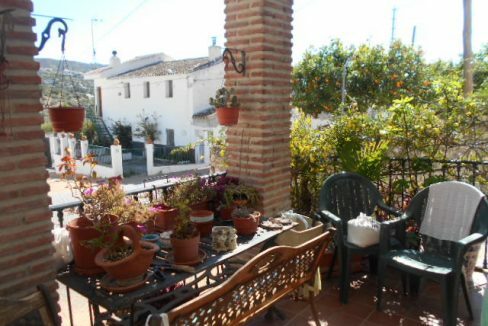 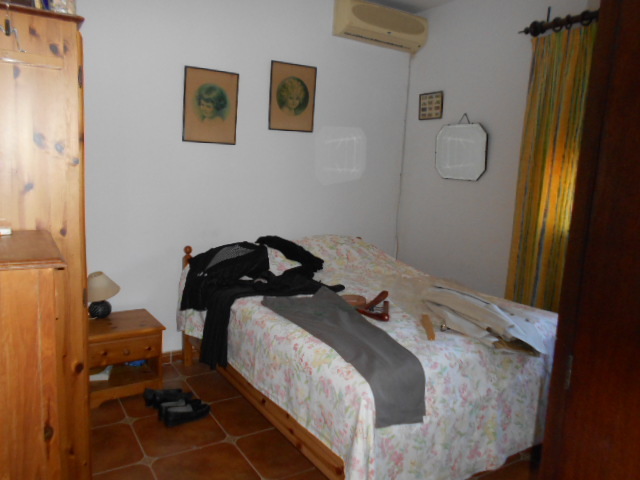 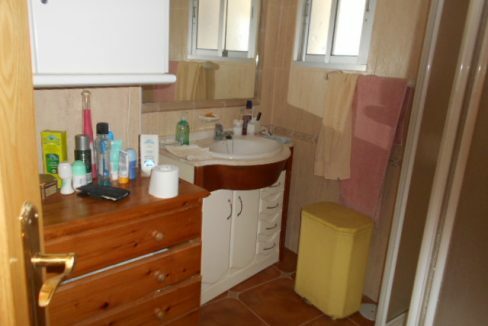 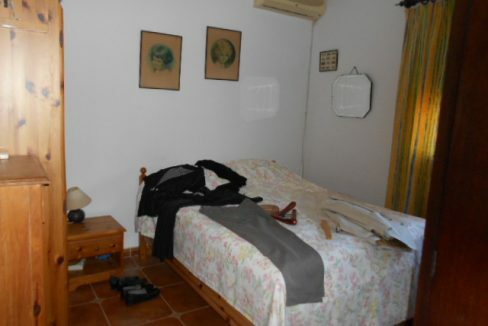 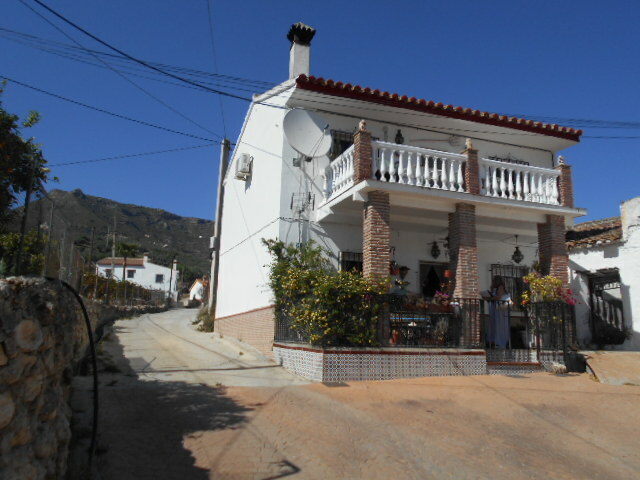 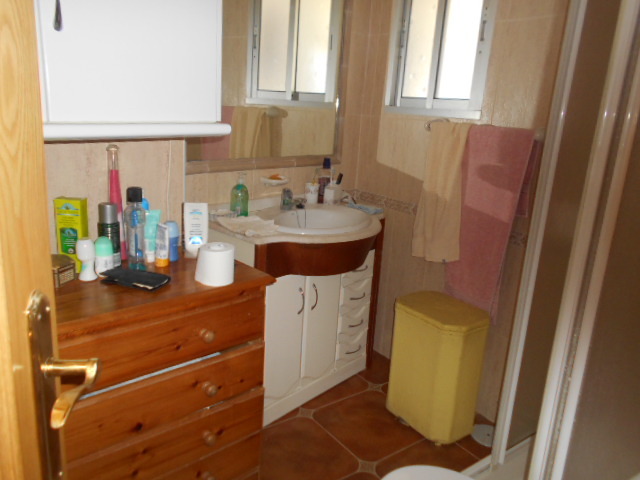 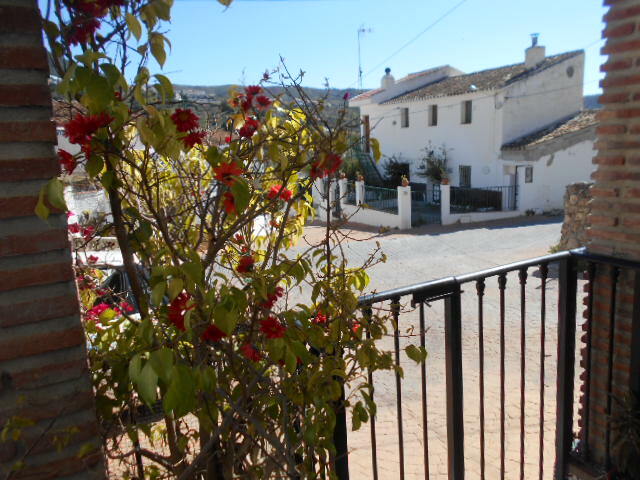 This 2 storey detached house in Los Cortijillos near Alcaucin, has 2 bedrooms and 2 bathrooms and views of the mountains. 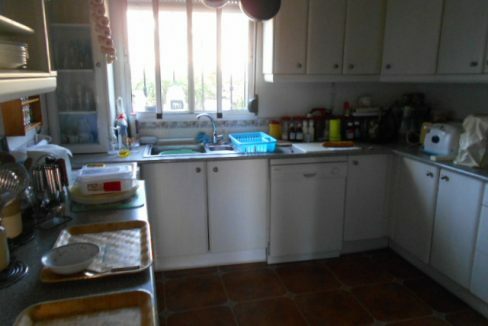 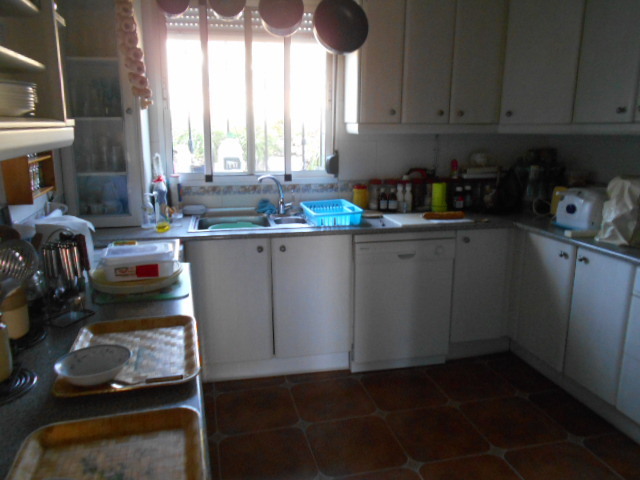 The kitchen is fitted with electric hob and oven. 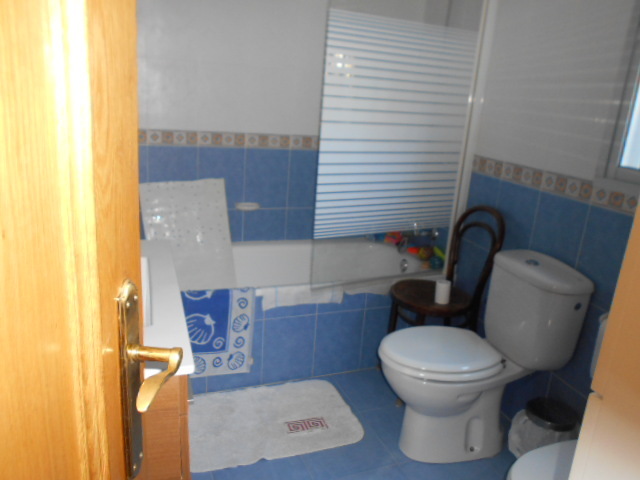 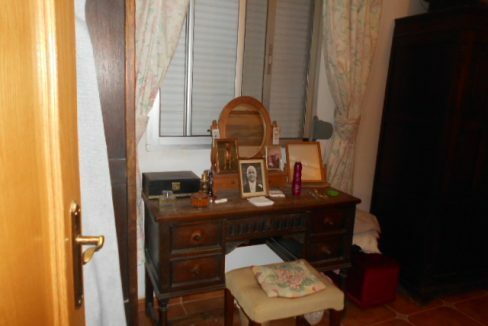 There a downstairs bath/shower room and a large storeroom. 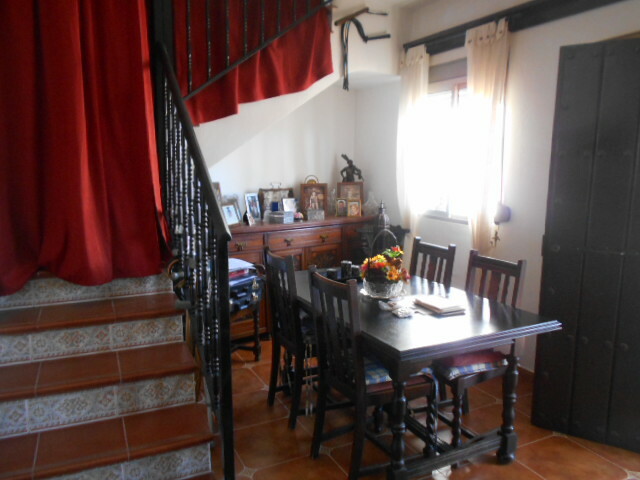 The living/dining room has a log burner and stairs lead upstairs to the bedrooms and another shower room. Upstairs the stable doors lead to a lovely terrace. 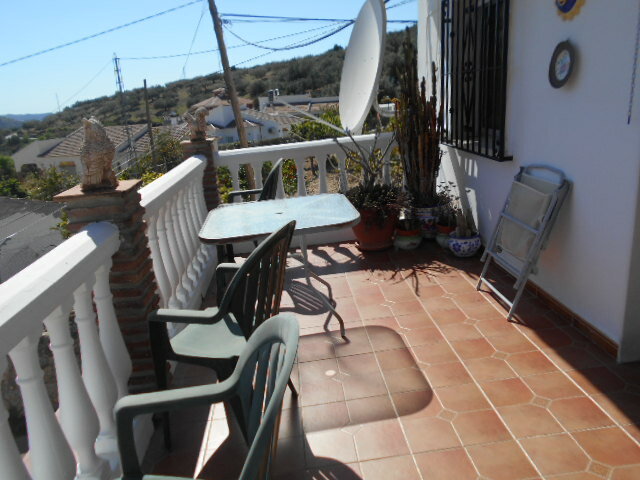 Outside to the front on the lower level is a covered terrace. 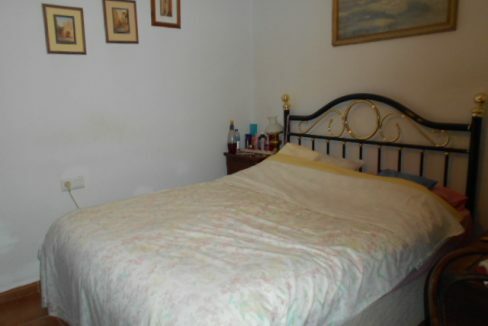 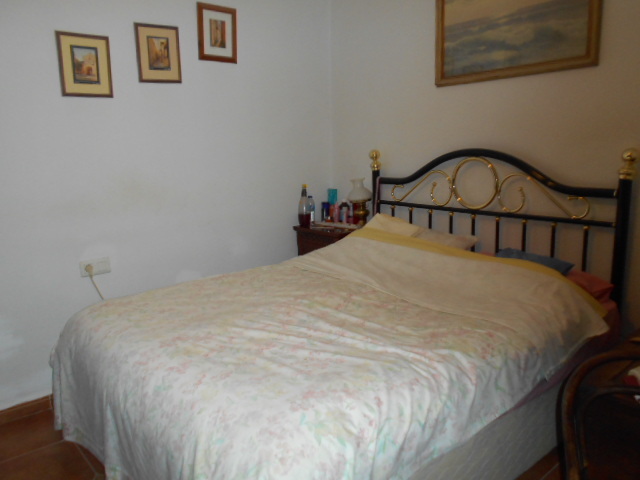 It is gated very good access, quite location. 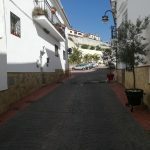 It has street and off road parking.